Did you know that there were laws governing speed breakers? Very few government officers and even motorists are aware of these laws and design specifications. This article attempts to explain the law on speed breakers in India. Speed Breakers are traffic management devices which use vertical deflection to slow down vehicles passing over them. Why are speed breakers used? Speed breakers are used to slow down traffic near schools, hospitals so that children can cross the road more easily or senior citizens can cross at ease. They are also placed near toll booths and entry points of bridges or narrow roads, to ensure that motorists reduce their speed. Why are unplanned or illegal speed breakers bad? The impact can be harmful for patients in transit, senior citizens and pregnant women. Is there a law governing speed breakers? There are various judgements by various Courts, directing the government to formulate rules and policies for setup of speed breakers. Where can speed breakers be placed as per law? Speed Breakers must be used only in urban areas for minor roads and residential areas. 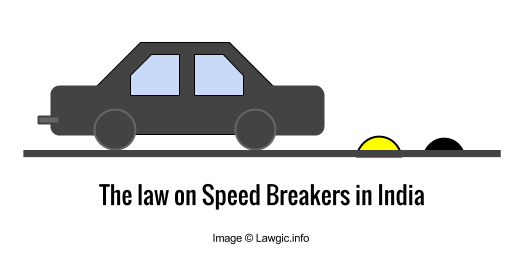 Speed Breakers are NOT recommended on high-speed roads or highways outside urban limits. Selected local streets in residential areas, schools, colleges or university campuses, hospitals, etc. Also in areas where traffic is observed to travel faster than the regulated or safe speed in the area. 6. Places of ribbon development, where road passes through builtup areas and vehicles travelling at high speeds are a source of imminent danger to pedestrians. What are the specifications for ideal speed breakers? The Indian Roads Congress has suggested that speed breakers are formed basically by providing a rounded (of 17 metre radius) hump of 3.7 metre width and 0.10 metre height for the preferred Advisory crossing speed of 25 km/h for general traffic. It is mentioned that more humps be constructed at regular intervals depending on desired speed and acceleration/deceleration characteristics of vehicles and that the distance between one hump to another can vary from 100 to 120 metres centre to centre. 1.1 Definition: A speed breaker is a hump surface across the roadway having a rounded shape with width greater than the wheel base of most of the vehicles using the road. When there is decrease variation in sensory stimuli and at locations where speed controls are desired, a speed breaker acts as a strong stimuli to arouse reaction in the brain. Since the driver reaction times are faster in response to audible and tactile stimuli than to visual stimuli, a driver subconsciously reduces the speed. i. There should be no damage to vehicles nor excessive discomfort to the drivers and passengers when passing at the preferred crossing speed. ii. The hump should not give rise to excessive noise or cause harmful vibrations to the adjoining buildings or affect the other residents of the area. iii. Above the design speed, a driver should suffer increasing level of discomfort (but without losing directional control and without any vehicle damage) depending on the extent through which design speed is exceeded. What type of marking and painting needs to be done on speed breakers? What type of marking and painting needs to be done on speed breakers in India? Drivers should be warned of the presence of speed breakers by posting suitable advance warning signs. The warning signs, should be of the design ‘HUMP OR ROUGH ROAD’ detailed in IRC: 67-1977 ‘Code of practice for Road Signs’. The sign should have a definition plate with the words ‘SPEED BREAKER’ inscribed thereon and should be located 40 m in advance of the first speed breaker. Speed breakers should be painted with alternate black and white bands to give additional visual warning. For better night visibility, it is desirable that the markings are in luminous paint/luminous strips. Embedded cat-eyes can also be used to enhance night visibility. Who is authorized to install speed breakers? Who is responsible for maintaining and installation of speed breakers? Location of the speed breakers are authorised by the Traffic Police Department on its own or on suggestions received from the public . The Director General of Police of the state and concerned Municipal Commissioners/ Councillors in charge of Municipal Corporations/Councils are also accountable for the upkeep and maintenance of the speed breakers and to ensure that new speed breakers are constructed in consonance with the guidelines provided by the Indian Road Congress. The National Highways Authority of India is responsible for speed breakers on the highways. 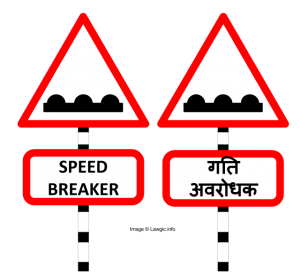 J P Sanghi v. State Of MP 1984 – Petition challenging the speed breakers in the town of Jabalpur and also on national highways passing through Madhya Pradesh. Kewal Semlani v. Commissioner Of Bombay And Ors. 2005 – Bombay High Court issues directions for speed breakers in Mumbai. N.D.M.C. v. Shri Chander Kishore Aggarwal 2011 – Compensation of Rs. 1 Lakh granted to motorist. NDMC held guilty of negligence for not maintaining speed breaker and thereby causing the accident. This entry was posted in Motor Vehicles Act, Useful Information on October 26, 2014 by admin. To which authority do we contact to verify if the speed breakers recently installed in LONAVLA are within the permissible norms ???? Why don’t you write to your Municipal Authority and to the Police Chief of your district? The Municipal Authority is primarily responsible for the construction and signage for the speed breaker. I would like to know whether in an apartment complex association has any right to install speed breakers within the gated community. If they have through a general body approval then what is the minimum distance between the speed breakers and should the design be as stated above by IRC as 3.7m wide amd 0.10 m high ? Can the residents object to if the existing speed breakers do not meet the above specs and can they approach legally to dismantle these speed breakers? IRC should formulate clear guide lines as where to install speed breaker also proper size should be suggested. and Govt. must make law for the same. Could anyone confirm/comment on Prabhakar’s comment as similar problems occur in a few more gated complex. Where can I request to install or build a speed breaker on a busy, accident prone road? in small small street lot of speed breakers and very high. its very dangerous for us. this is not speed breakers, this spine breakers. i am afraid for this. can get any legal action for that. Please file PIL (Public Interest Litigation) to the High court else it will not work in our country. In out city vizag, the local municipal authorities are not following the guidelines issued by the Indian Road Congress for laying speed breakers. No sign boards are displaying about the speed breakers. मै ग्राम -पंचायत सोहास, सुमाली उत्तर प्रदेश का निवासी हूं, मै जानना चाहता हूं कि क्या कोई गाँव मे अपनी मर्जी से अपने घर के सामने स्पीड ब्रेकर लगवा सकता है, यदि हाँ तो इसका पैमाना क्या है! यदि नही तो, इसके विरुद्ध कहाँ और कैसे कार्यवाही की जाय जिससे कि ब्रेकर को हटवाया जा सके! Within an overnite a new series of road breaker has been built 2 days back at SH32 ,(state highway 32) near between shutter kavla and koodaloor kavla . Last night when i was coming home after closing my shop, a biker just missed from an accident with this stupid and unwanted speed breaker. A school is near, but its busy only at around 9am and at 3.30pm . A zebra crossing line and police on duty is always present during this time . If this speed breaker is not removed soon , very soon new accidents will occur during evening and night hours. Also this is a place away from main town. Mere ghar ke samne ek breaker banaya gya hai aur ek ghar se 20 kadam pe aur ek 40 kadam pe. hi.. please support this petition for stircter laws… please do share it…!! Sir I am resident of sector in Gurgaon. Someone has made illegal speed breakers and they are not upto the specification. I wanted to know is a person residing in the sector can make speed break in front of his house? If not to whom should I approach to remove it? sir namasthe this is Vinay Dasarahally and I have an two Wheeler. Sir I am resident of Alampur Gadiya, Suti Mill, G.T Road, Aligarh-202001 (U.P) Someone has made illegal speed breakers and they are not upto the specification. I wanted to know is a person residing in the sector can make speed break in front of his house? If not to whom should I approach to remove it? Please any one can inform me what should be the dimensions of Speed Breakers as per the governing laws ? Sir I’m smriti bajpei from village katra p. Janakpur dist. Panna mp Sir m ye janana chahti hu k kya ye speed breaker koi v kh apni ichha k according bnwa skta h kya ydi nh to iske against koi action to liya jata hoga na cz sir m na in speed breakers s bhut preshaan ho gyi hu jiska jha mn krta vh apne ghr k samne bna deta h vo v 1 ya 2 nh 5 or 6 or width km hight jyada kr dete h PLEASE SIR I REQUEST YOU THAT TAKE any solid ACTION AGAINST THEM..? 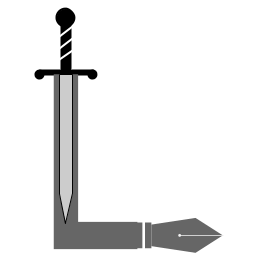 Speed beakers are used by hotels etc for their interest.. if one accident occurs due to rough driving by any drunk or irresponsible person, thousands of innocent people face daily problem and meet an accident due to improper bumps and missing sign boards… Also the size of bumps are not maintained properly… The guidelines must be strictly followed.. I am a resident of DLF Phase 3 in Gurgaon. Here some people have constructed speed bumps which are very sharp and cause belly of cars to scrape and also pose accidental threat to two wheeler drivers. The people who have made it are nobody but self styled leaders of the timepassing senior citizens group here. Pingback: Unscientific Speed-Breakers Can Kill: Here's What Needs to Change. What should be minimum distance between two speed breakers in a village ??? Those persons who construct these speed breakers ,they bring raw materials freely at the time of road making and they did the humps as they like.They follow no rules.If one will measure the height is about 20-25 cm and distance between two is about 20-30 meters of these humps.This is not only a problem in our village but in all over India also..so it is necessary to take action against those who construct such type of humps and should be set in proper position where required. Thank you…. as per indian law nobody can palace speed breakers in front of there house and anywhere without a permission of traffic police and related department . if anybody does this type of work they are punishable as per indian law . As per the Law we have to strictly adhere to the rules and regulations in providing the speed breakers. one cannot change the design and colour of the speed breakers.But in Trichy the corporation has put up some speed breakers against the basic principles and design.As we are not supposed to change the colour of our national flag and the colour of the Automatic signal from RED and Green we are not supposed to change the colour stripps of the speed breakers.Hoe that the corporation will realize and change the colour wich they have painted in white and red If somebody met with an accident nor any damage to his vehicle and if he goes to court and claim compensation the corporation has to pay for the compensation and on enquiry if it it is found that it is being done by instigation of an official he has to bear the cost of compensation. Erecting speed humps tumblers at 12 feet after 12 feet is the pass time with works deptt in odisha. in a year the deptt showed expenditure of staggering 230 crores towards election demolition of these hence such money minting formula by few officer engineer politician nexus needed to be exposed as after all these are public funds ! Recently my village main road has expanded so we need speed brake. Appropriate speed breakers are essential where educational institutes are functioning like university, colleges and schools on highways having the decision of removal of speed breakers because there is a question of the life of the human being. Ultimately the responsibility goes with school authorities if any otherwise.